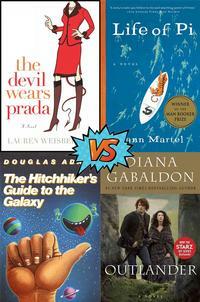 We're now into round 4 of our Summer Madness blockbuster reads online bracket game! The Final Four battle is ON! # of Books Sold: Over 4 million copies worldwide. # of Books Sold: Over 3 million copies worldwide. # of Books Sold: Over 16 million copies worldwide. Awards: Number one on the Sunday Times best seller list (1979), "Golden Pan" award from publishers for reaching the 1,000,000th book sold (1984), Waterstone's Books/Channel Four's list of the 'One Hundred Greatest Books of the Century', at number 24 (1996), and BBC's "Big Read" ranked it number four (2003). Adaptations: Television Series, Film, Graphic Novel, Radio Programs, and Musical Albums. # of Books Sold: Over 20 million copies worldwide. Awards: Romance Writers of America's RITA Award for Best Romance of 1991. Adaptations: Television Series, Graphic Novel, and a Musical. Check back next week as our two Summer Madness finalists will be revealed! 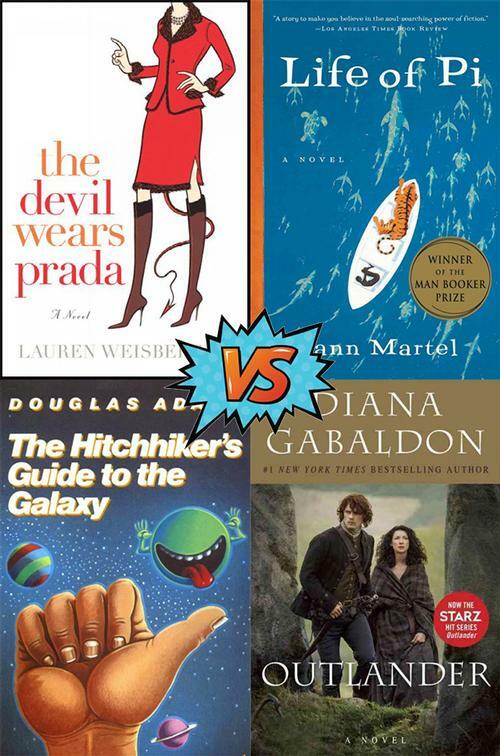 Add a Comment to The Final Four Book Battle Is ON a.k.a. Round 4 of Summer Madness!